This mini carry box can be linked on the clothes,easy to carry, fashionable, to prevent the collision from severe damage. And easy to outdoor. Tell us what you think about Cigarette Copper Carrying Case DH-5501, share your opinion with other people. 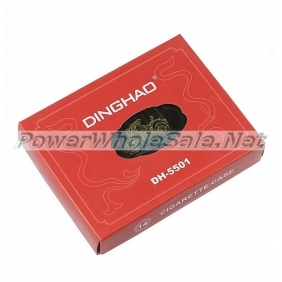 Please make sure that your review focus on Cigarette Copper Carrying Case DH-5501. All the reviews are moderated and will be reviewed within two business days. Inappropriate reviews will not be posted.